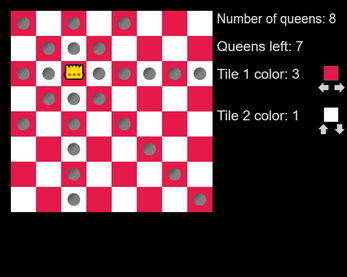 Try to place all the queens on the chessboard in this classic puzzle! Each chessboard is one size larger than the last (except for 2 and 3, as there is no solution for those chessboards). Get past a board of size 13 for a special ending! I hope you have fun! 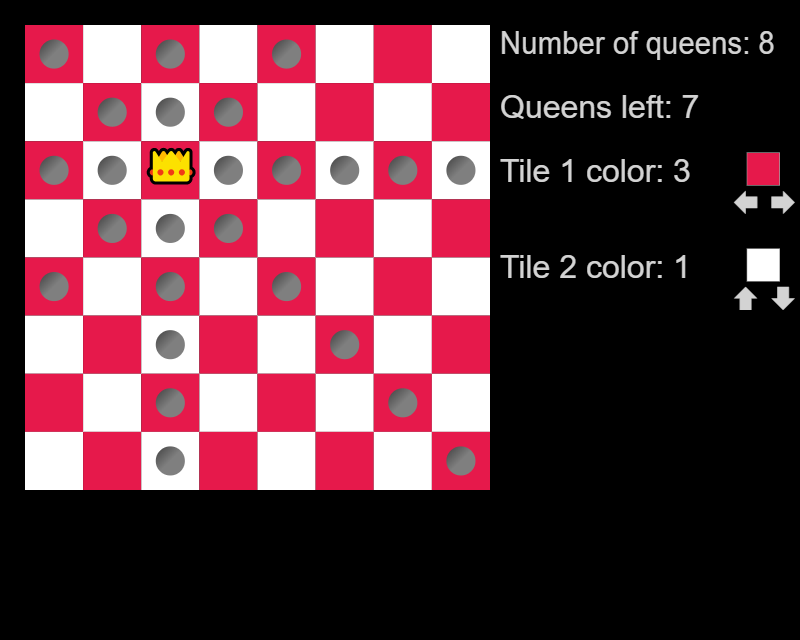 Press the arrow keys to change the board's colors, and click on the board to place or remove a queen. Circles appear in on the tiles where queens cannot be placed. Neat! I really like the concept and execution, the UI is very clean, and I especially like how you captured the arrow key inputs so that it doesn't scroll the page as I change board colors.